Peanut Chutney Recipe with step by step instructions.తెలుగు వెర్షన్. 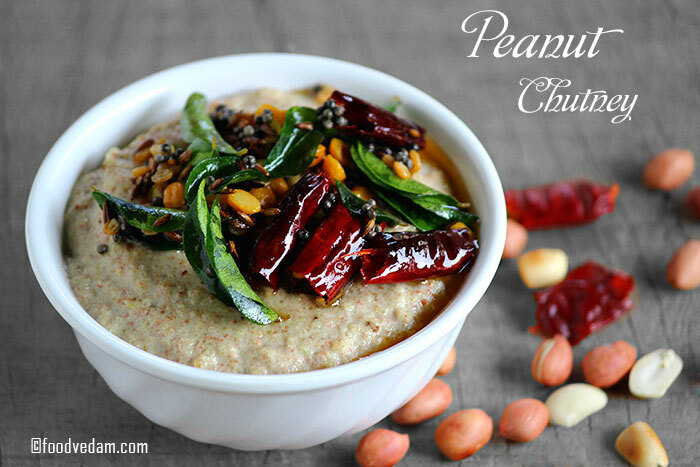 Palli Chutney or peanut chutney is usually served with breakfast recipes like idli, dosa, vada, and upma etc. It’s my favorite chutney.in fact, everyone’s favorite. sometimes I eat breakfast just for this chutney though I’m not hungry. adding sesame seeds enhances the taste of the chutney.it can also be prepared along with desiccated coconut or freshly grated coconut.you can also use Bengal gram if you like.but you don’t need to saute them.you can directly grind them along with sauteed peanuts & green chilies. This chutney is very healthy and nutritious. I hope you try and enjoy this recipe. Heat oil in a pan, add cumin seeds, green chilies and sauté until the green chilies turn pale. Add roasted peanuts, garlic cloves and sauté for a minute. Turn off the flame and let it cool down for 3 to 5 minutes. Later, put them in a blender and grind into a smooth paste adding some water. When the oil is hot, add mustard seeds, cumin seeds, Chana dal, Urad dal, red chilies and sauté until they turn crispy. Add curry leaves and sauté until they stop spluttering. 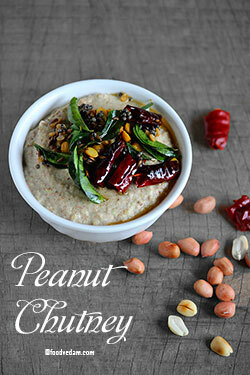 Pour the Tadka on chutney and mix well.